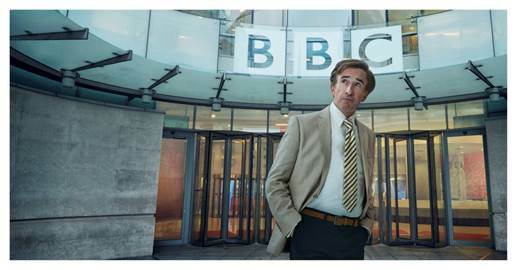 Filming has begun today on This Time With Alan Partridge, the new Partridge project coming to BBC One later this year, a quarter of a century after his BBC debut. The show will see Alan (Steve Coogan) handed a career lifeline - the chance to stand in (temporarily) as co-host on This Time, an evening weekday magazine show. Joining Steve Coogan on the sofa will be Susannah Fielding as his female co-presenter Jennie Gresham, and Tim Key as Simon ‘formerly Sidekick Simon’ Denton. Full casting will be announced in due course. Written by Neil Gibbons, Rob Gibbons, Steve Coogan. Directed by Neil Gibbons and Rob Gibbons. The producer is Ted Dowd and the executive producers are Christine Langan and Steve Coogan. A Baby Cow production for BBC. The 6 x 30 series will be shown on BBC One later this year.